So you’ve just moved to Malta, registered as a resident, and perhaps even picked up your e-residence card in Valletta. Perhaps you enjoy submitting paper forms and standing in line for hours every time you need to deal with the Maltese government. But if you don’t, the next step is to get an e-ID—your way of logging in to Malta’s many e-services. With an e-ID, you can do lots of things online—like filing your taxes and registering as an organ donor—without showing up at an office or mailing in a paper form ever again. It’s especially useful if you spend parts of the year abroad, so you don’t have to fly back to Malta for every little practicality. This is probably the fastest way, especially if you are already near Valletta. Perhaps you just picked up your new e-Residence card, for example. 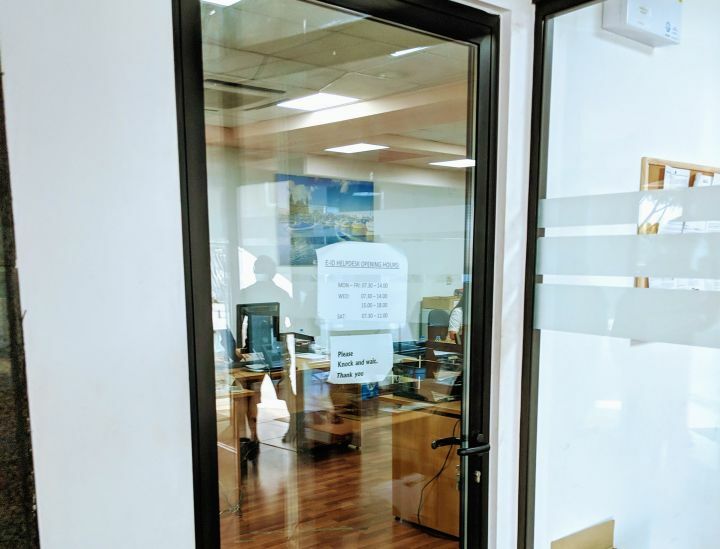 Just turn up at the Identity Malta ID card office at Gattard House, National Road, Blata l-Bajda (exact coordinates) and walk in the main door. Knock and wait until you’re called in (usually very quick). Give them your ID card number (it’s the one on the back of your ID/residence card), and confirm your email address. Within a minute or two you should receive an activation email. 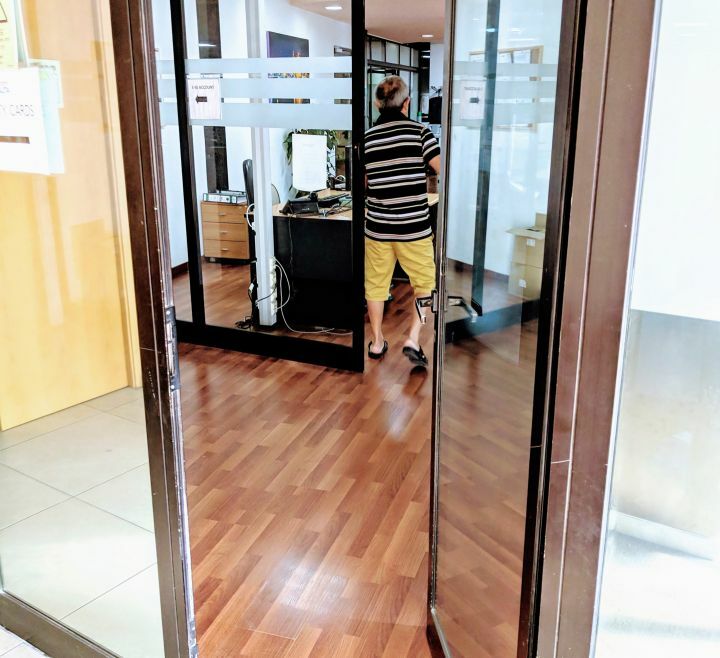 I’d recommend verifying that the email arrives before you leave the Identity Malta office. If it doesn’t reach your inbox in about 5 minutes, ask them to send it again. Note: If you’re on Gozo, you can also go to the Identity Malta office in Rabat (28 A St. Francis Square, Rabat, Gozo). 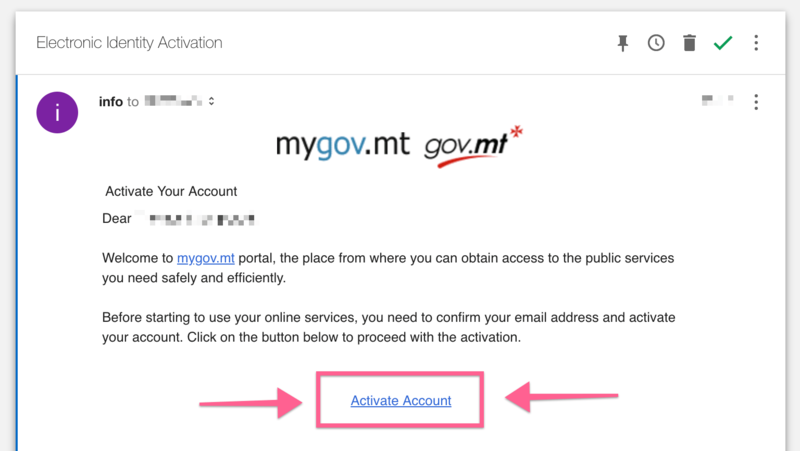 Alternatively, you can request the activation email by writing to Identity Malta on info@mygov.mt. In the email, include a picture or scan of both sides of your ID/residence card. Finally, you can also call Identity Malta on +356 2590 4300. They might not pick up on your first try, so just keep trying. Or if it’s less urgent, it might be easier just to email them (see above). After validating your ID number using one of the methods above you will receive an activation email with the subject Electronic Identity Activation. If you haven’t yet picked up your ID/e-residence card, you’ll find both numbers on the Application For Residence in Malta receipt. Your ID number is printed in the top right of the receipt (sideways, ending with an A). And instead of your document number, you can input your application reference number (bottom right of the receipt) in the second field. When you click Activate you will be asked to set your password. It should be a minimum of 8 characters long, but given that someone could impersonate you if they somehow guess it I’d recommend a longer one—at least 12 characters. Once you click Apply your e-ID is activated. 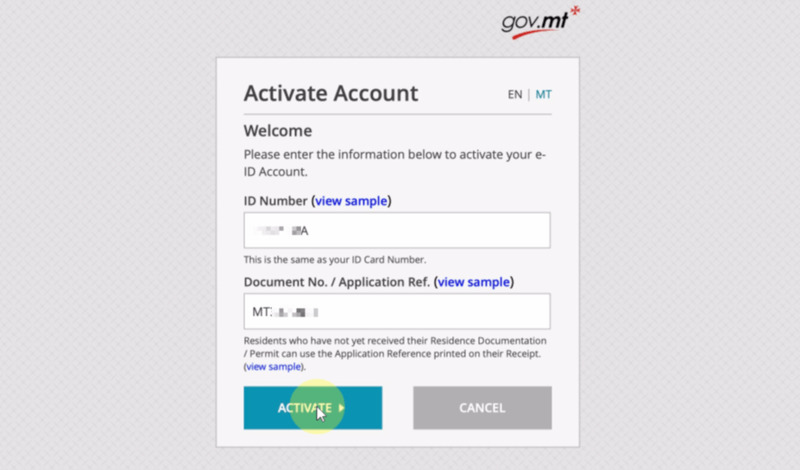 You can now log in to a wide range of government services. To find out what services you can access online, head over to servizz.gov.mt.